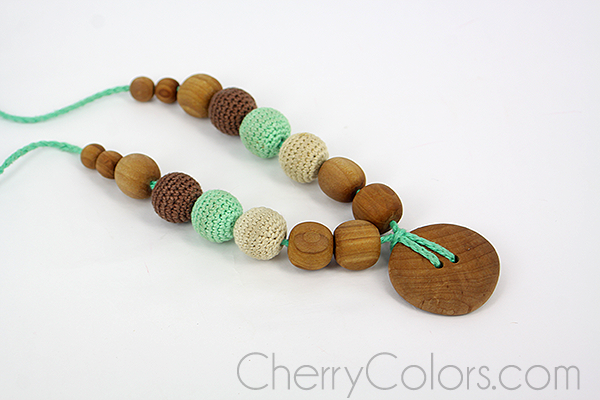 Review: Teething necklace from KangarooCare - Cherry Colors - Cosmetics Heaven! This post is another for all the mommies out there. 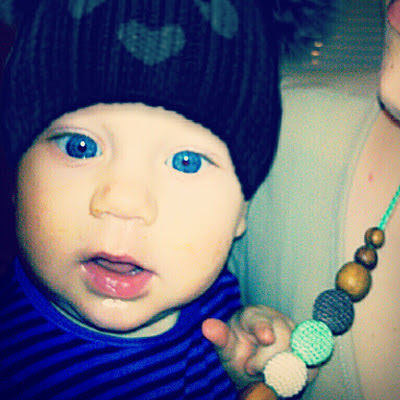 My baby started teething a couple of months back and he is been in so much pain since then. This is one of the many reasons I decided to buy a nursing/teething necklace. The other was him squeezing me during breastfeeding and pulling whatever was within reach of his hands. You guessed it, it was darn painful! 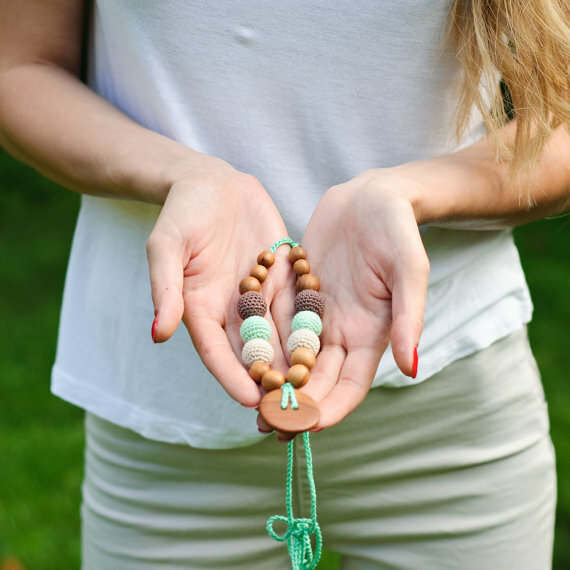 The picture from their Etsy. You must know that my necklace went through a lot. And I mean A LOT! The baby was playing with it quite a lot, one day I found the dog was chewing on it (luckily I came in the right time, stopping him from destroying it!). 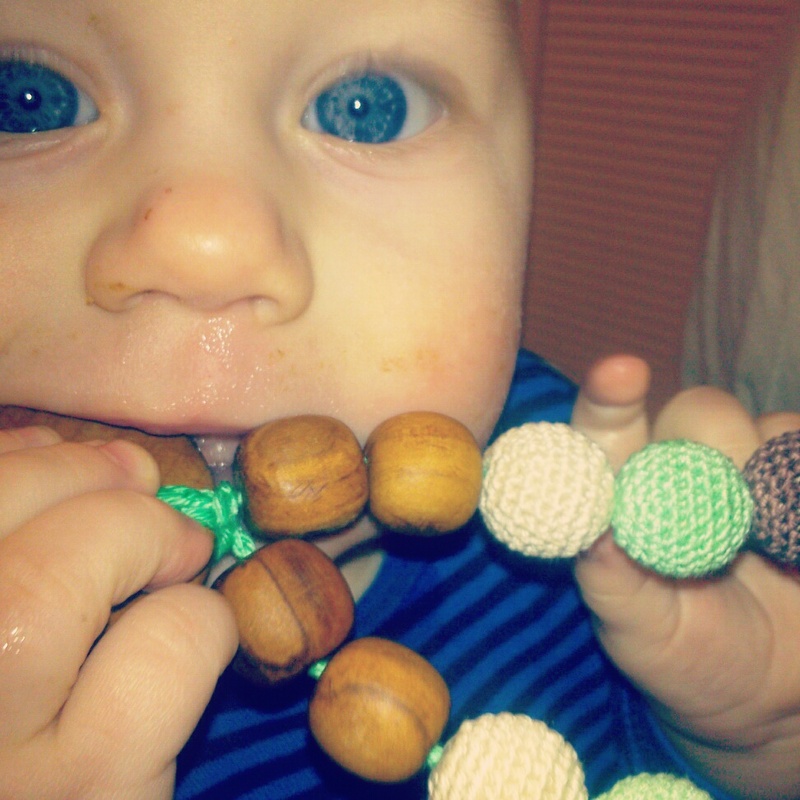 And what is better than a nursing necklace for a teething baby?! This time, I will talk about the Kangaroo Care necklace I purchased back in January. I have a couple more of such necklaces to write about (from different brands). I don't think there is much to say about its purpose. Except that, I wear it also when I am baby-free. It complements well my outfits (hey, my shoes are of a similar color to it! ), looks overall great and gives me that eccentric feel. 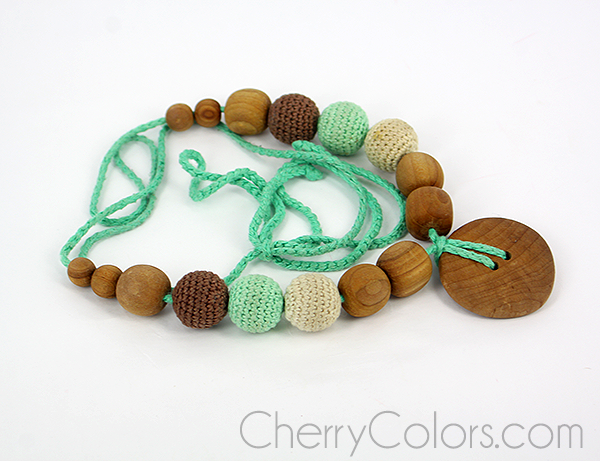 + Perfect for distracting a cranky little baby when he doesn't want to play with other stuff! These necklaces are really pretty and the photos are absolutely fantastic too. I think I can recommend them to any mom with a teething baby. And hey, it looks pretty too! Even for when your nursing/baby days are over. =) And if you are baby wearing? Even better, gives baby something to hold onto or play with (mine is always clinging to something while I am wearing him). I give it a big YES.